Sony PSP3000 review | What Hi-Fi? The PlayStation portable (to give it its full name) isn't a new product, having been with us since 2005. We've always admired it for both the brilliance of its mobile gaming and the sheer tactility of its interface, but it'd be fair to say it hasn't all been plain sailing for Sony's portable powerstation. For starters, the Nintendo DS has grown to dominance in the handheld gaming market, and then consumers chose to pay precisely no interest whatsoever to the UMD (Universal Media Disc) video format that was launched specifically to give it movie playback capability. So, given all the understandable hype surrounding Apple's Touch and iPhone of late, the new PSP 3000 is a timely addition to the Sony inventory. It's essentially a buffed-up version of the 'Slim & Lite' version introduced last year and it includes an improved, brighter screen plus new features such as a built-in microphone. However, as much as the improvements to the hardware, the Sony gains most from the continued development applied to its content offerings. Now, you can use it to chat to friends via Skype – thanks to the integral microphone, you don't need an external headset any more. Visit the Go!View service from Sky, and you can download TV, films and sports events to watch (at a cost, of course) on your way into work. And thanks to the advent of the PlayTV tuner for the PlayStation 3 console, you can use the PSP to watch TV shows you've recorded from broadcast TV, or access any of the photo, music or video files you've got stored on its hard-disk – although it all depends on being in range of a solid Wi-Fi network. Of course, you could sensibly argue that some alternatives at this price (or thereabouts) will store more content, and aren't hampered by restrictions over downloading availability, but the Sony's core attraction – that it's a fabulous handheld games console – is a powerful counterpoint. 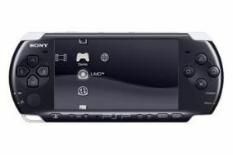 That, plus the price, means this newest iteration of the PSP is also the most competitive yet.